I joined The Compton School as a Local Community governor in December 2011 after moving to the area. I am a member of the Finance Committee and the Appraisal Management Group. My background: I work in Commercial Finance, responsible for the European Online division of a listed US retail business. Prior to my current role I spent over five years working in mergers and acquisitions for one of the Big Four accountancy firms, focusing on the retail and hospitality sectors. My Background: After studying a degree in Graphic Design at the Academy of Art in San Francisco I worked as a professional designer for many years. I later chose a career in teaching and I currently teach design, art and drama in a specialist school. I joined the Governing Body in the summer term of 2014, as a Community Governor. I am Vice Chair for the Behaviour & Safety Committee. My background: I graduated from University of Leeds with a degree in Law LLB and currently work as a senior lawyer for the BBC. I joined the governing body in September 2015 as a community governor and sit as a member of the Teaching and Learning Committee. My Background: I graduated from the London School of Economics (LSE) with a degree in politics and am a member of the Chartered Institute of Marketing (CIM). I specialise in marketing and communications and have held roles within the not-for-profit, private and public sectors. I currently work as a senior manager within the NHS. I was appointed as a Governor in December 2017, having been joined the Compton Local Governing Body as a parent governor in December 2013. My daughter is in year 12 studying Chemistry, Psychology and History. My background: I am a Chemistry graduate and worked in commercial technical publishing for 25 years in a variety of senior management roles. I am Deputy Director General of the Institution of Civil Engineers responsible for their commercial activities, with a team of 100 staff. I am a Fellow of the Institute of Directors and hold the Chartered Director qualification. I love music of all kinds and try to make the most of the all the cultural riches London has to offer. 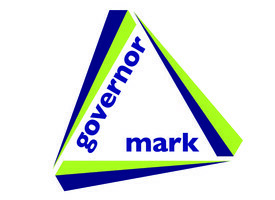 I joined the Governing Body as a parent governor in 2018 and now hold the post of Safeguarding Link Governor working closely with the safeguarding team. My Background: After graduating from the University of Manchester I started my career in a medical publishing house where I was responsible for delivering complete marketing campaigns including budgeting, forecasting, research and development, testing and campaign analysis. I then moved into account management for an advertising agency where my clients included Mercedes-Benz and SAP. After becoming a parent, I retrained to become a teacher and now teach children primarily in KS1. I enjoy art and architecture and good food! I joined the governing body of the Compton School as a parent governor in October 2018. I have one daughter who is currently in year 8. My Background: I currently work as the Records manager at a leading firm of solicitors. Previously I worked as an IT support professional in both finance and telecommunications sectors. I have a keen interest in sport and played for a local football club - Old Woodhouseians F.C for over 20 years. I joined the Governing Body in the Autumn term of 2014, as a Staff Governor. I am a member of the Behaviour & Safety Committee. I am Deputy Headteacher, working within the Support and Intervention Team and teacher Science. I joined the Governing Body in the Autumn term of 2018, as a Staff Governor. I am a member of the Change Team for Mental Health and Well-being, an EPQ mentor for Sixth Form, and an English Teacher. I started at the Compton in July 2015 as the Sixth Form Administrator and Outreach Administrator. In November 2016 I started in the role as Year 13 Pastoral Leader. I have been the Clerk to the Governors since October 2015.